BRYAN EATON/Staff photo. 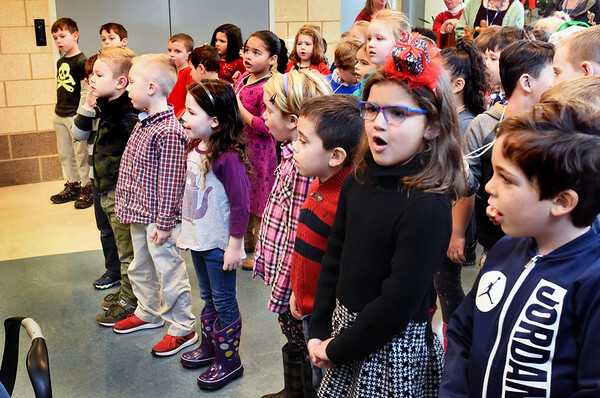 Kindergartners sing "Frosty the Snowman" at the Amesbury Senior Center this week. The youngsters from Amesbury Elementary School have been making this an annual event for them for several years now.